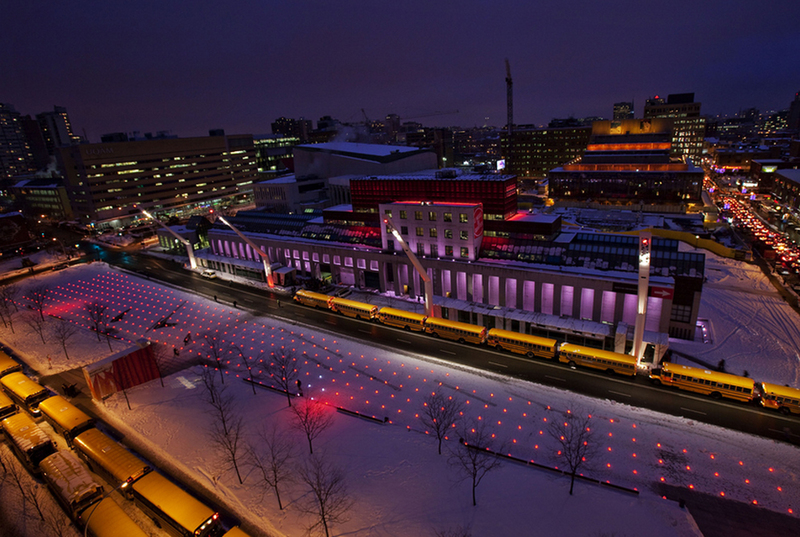 Throughout the winter 400 interactive points of light were installed across the Place des Festivals, part of Montreal's Quartier des Spectacles. 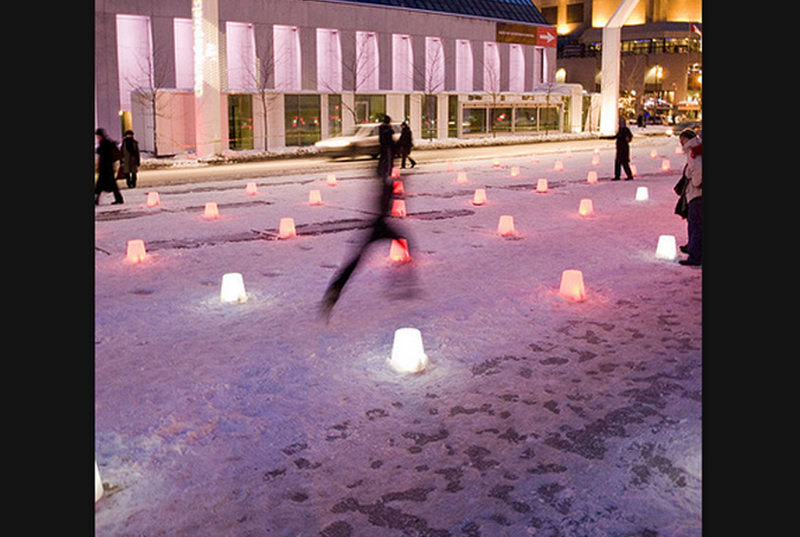 In keeping with the principles of the Quartier des Spectacles Lighting Plan, Champ de pixels was an installation and experience that rendered activity as light, and aimed to reanimate this urban space during the winter. 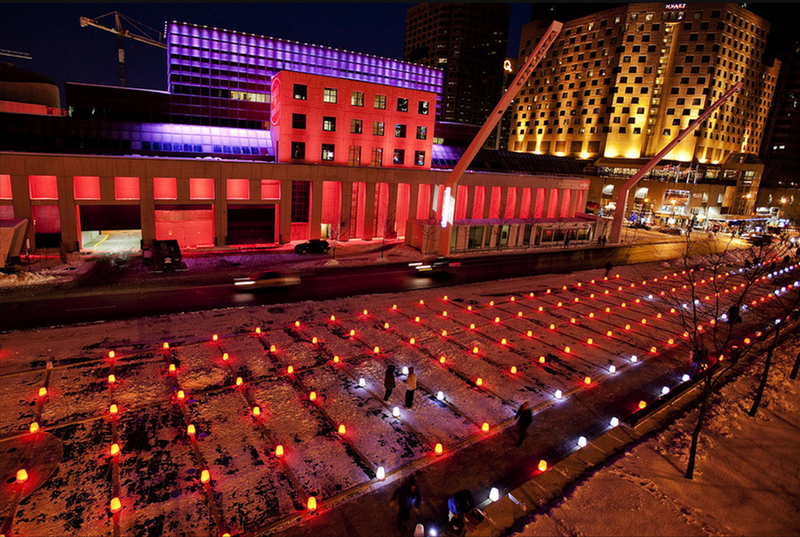 Like a gigantic 'Lite-Brite,' Champ de pixels was made up of hundreds of illuminated 18-inch pixels equipped with motion sensors, installed over 40,000 sq ft. 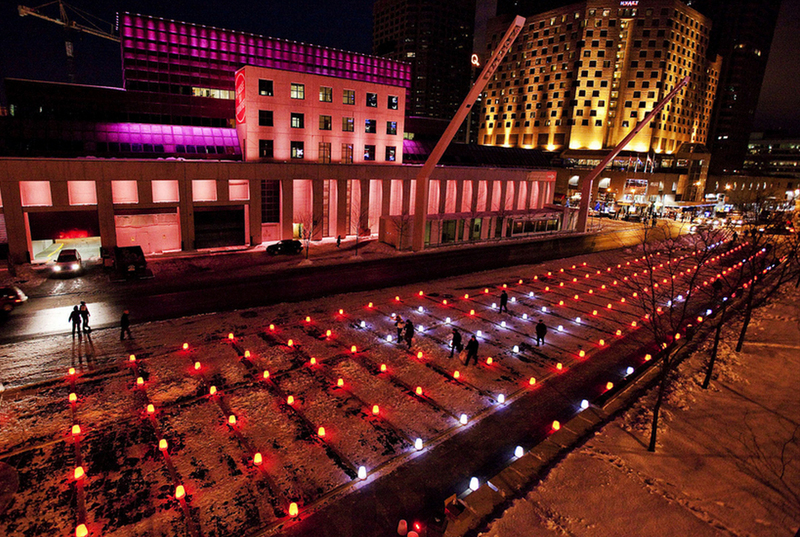 When they detected movement, the sensors changed the illumination of the pixel from red to white and back again.